Many Lean initiatives start by applying tools, such as Value Stream Mapping, resulting in a quick change of the factory lay-out. However, that is like building Lean on sand. Often, after a few years, the whole ‘project’ will be no more then a vague recollection. What is the secret of everlasting Lean-companies, improving steadily on a foundation like a rock? In such a real Lean environment, everything is focused on stimulating and helping people, to achieve increasingly better business results together! To build a culture like that requires a profound transformation. This process is described in the “The Lean Manager”. Not an easy book to read, but certainly worth the effort! My review below includes some interesting comments by Michael Ballé, one of the authors. To understand Lean concepts like Value Stream Mapping or Kanban is relatively simple. However, that are only tools which can help to indentify and solve problems. The real challenge is to create a matching Lean culture, a critical mass of committed people who think and act lean! In the book “The Lean manager” this is called making people before making products. The company needs to be transformed into a team of people who are working together to make products which correspond increasingly better to customers wishes. How can you accomplish such a cultural transformation as a plant manager, that is the main subject of the book, written by automotive veteran Freddy Ballé and his son and consultant Michael Ballé. In my opinion, this is not only a book about Lean, but more a book about people management in general: How can you make your people committed to perform their work in the best way possible. I think that many of the insights still remain useful if you want to create an optimal environment for the application of Total Productive Maintenance, Six Sigma, Lean Six Sigma, the Theory of Constraints or Quick Response Manufacturing. As repeatedly stressed in the book, it is not the tools which cause improvement, but the people who use these tools! To make any process improvement initiative an everlasting journey, first and above all this question should be answered: How can I create an environment in which people are challenged enough and feel appreciated enough, so that they will start looking for ways to perform better themselves. In addition, everyone needs to have the necessary skills and resources to do that. The book, written as a novel, sure gives a lot of useful tips to accomplish that goal! It is more or less written as a sequel to the well-known book The Gold Mine of the same authors. This describes a Lean turn-around, which is compared to digging increasingly more gold (end products) from a river. The Lean Manager, which can be read separately, describes the way in which people and management should be transformed to make such a lean turn-around possible. Supplemental information: Published by the Lean Enterprise Institute, July 2009, 459 pages. ++ A very common problem with Lean implementations is that these fail after a few quick results. This book not only explains why this is happening, but also shows how to prevent it!. + The book must have been written very recently, since even the impact the current economic crisis has on the automotive industry is described in it. o To understand this book, the reader should have at least a basic understanding of common Lean-tools, like Value Stream Mapping, the seven wastes, 5S and Kanban. This clearly is a book for advanced Lean students. If you are not familiar with Lean it might be a good suggestion to read the book “the Gold Mine” first. o For Dutch readers: Although the book is well written, you must be familiar with reading in English. .
- The rough way in which the factory is transformed, might fuel the idea that lean is mean. 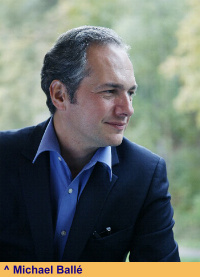 The entirely fictitious story in the Lean manager is about Andrew Ward, plant manager of a factory of NexPlas in France. His plant supplies plastic engine parts to the automotive industry. After a takeover by private equity group Univeq, Phil Jenkinson becomes the new CEO. Jenkinson states an ultimatum to Ward: His old and messy factory, loaded with unnecessary stock, will be closed unless he transforms it into a Lean factory. Only in that case he will get new orders to produce products for the customers of Nexplas. Hidden in the book is another, intrigueing message: companies should not be run by managers in spotless suits, but by (ex-) engineers who stay involved with the real work, making their hands dirty at least three times a day when visiting their plant floor. One of the first things CEO Jenkinson does is selling the headquarters building and relocating every manager into the plants! To transform his factory, Ward should also transform himself, as he soon finds out. Like many people who learn about Lean (including myself I have to admit) he originally thinks that he knows all about Lean by understanding the theory and the tools. Gradually he discovers that this is like walking on one leg. The missing leg is the organizational or cultural part of Lean. To make this clear to Ward, CEO Phil Anderson asks questions instead of giving answers, so he uses the Socratic teaching method. During this teaching process, Bob Woods, an already retired Lean-sensei from automotive industry, has a role which can be compared with a side-kick. The latter character could well represent one of the authors of “The Lean Manager”! 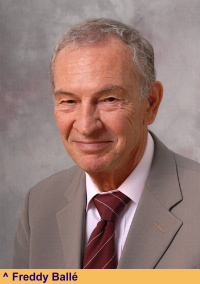 Freddy Ballé (see the picture on the left) worked for decades as a manufacturing manager and as an executive at Renault and at Toyota-suppliers like Valeo. This also explains why this book is again about the automotive industry. In some ways, that is a pity because it could make people think that Lean works only in that business. In my opinion, it would have been better if the book had addressed a completely different environment, like a hospital or a factory with very diverse and customer-specific production, in which case the Kanban-system fails. However, the reader should keep in mind that this book is not about tools but about cultural change. Therefore the main messages will apply to a (lean) transformation in any type of business!. The box below summarizes a few of the insights acquired by Ward during his transformation to a Lean manager. The book clearly shows how he came to see how important these things are. 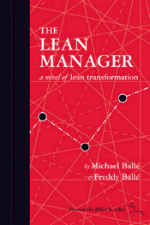 Finally, I wish to discuss some minus points regarding the Lean transformation as described in the “lean manager”. Lean is mean is a slogan which often leads to much resistance when people in a factory hear about Lean. The first thing those people think is that Lean means working more efficiently, so that they can be fired. However, this is not the Toyota Way. Toyota respects their people and protects them from layoffs if possible. By doing so, they get their full commitment in return. The beginning of the story in “The Lean manager” is however completely different. This could fuel the subversive thought that Lean is about squeezing every drop out of machines ánd people, so that lean is mean indeed. Let me give two examples. When CEO Jenkinson visits one of his plants the first time, he simply orders to get rid of one third of the quality inspectors. The reasoning behind that is sound (lean is about producing first time right, which makes quality inspections in many cases unnecessary). However, to simply lay-off these people certainly sends the wrong message. Isn’t this in clear contradiction to mutual trust, as described later in chapter 7? Why are the quality inspectors not given the chance to acquire new skills? Another example is the dual message given to plant manager Ward. He should prepare a plan to close his factory, and in the mean time he should execute a Lean transformation. Which plant manager would agree to perform such an impossible task? In the book, Ward stands with his back against the wall; he can’t move because his wife owns a riding centre at his house nearby the factory. What would have happened otherwise: Wouldn’t Ward simply have taken another job? It would be a pity if this book fuels the thought that Lean is in someways a bit mean. If Lean is applied correctly, this does not have to be the case!. Working more efficient and effective improves the competitiveness of a company, which will lead to more work, not less. In the end this also becomes true for the factory transformed in the book, which is not closed but gets more orders. Andrew Ward’s personal transformation from a do-as-you-think-is-best manager to a do-as-you’re-told manager, and finally to a let’s-figure-out-this-together Lean Manager! Chapter 1. Customers First. The customer should come first. 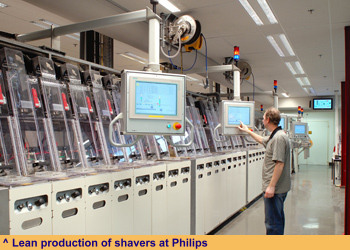 This is not only the end-consumer, but can also each next step in a production process. Flow and leveling are not the heart of Lean, but only tools to reveal problems. Everyone in the factory should become determined to put their customers first, and have the ability to use all their skills and knowledge to do that. To make this possible, managers should not organize jobs, but problem-solving! Chapter 2. Everybody, every day. Everyone should learn to see and solve small problems by themselves everyday, as first line of defense! Lean management is therefore about creating a system that makes people think, to make it possible to increase knowledge about machines, processes and products. As a first step, value streams should be stabilized. Develop judgement by testing hypotheses. Building interdisciplinairy consensus by getting people to agree on the problem. Checking regularly if goals are attained. Empowering people by involving them. Visual management is a prerequisite: Everybody should be able to see instantly what the current standard method is at a certain place, and what the main problem is at this moment. Chapter 4. Managing means improving. Go and see is not just for the top management, it is for everybody! The job of the management is to organize a clear flow of problem solving, by creating an environment where problems are recognized and solved by the people themselves. Problems are defined as gaps between actual and a standard. Chapter 5. Clear Direction. Workers should understand the global objective of their company. Having clear purposes and shared indicators helps people not only to see their own (possible) improvements, but also how these tie into the bigger stream. These higher objectives are called North Star or True North. Chapter 6. Teamwork. Lean management is not ‘do as you think is best’ or ‘do as you’re told’, but ‘let’s figure this out together' and therefore teamwork!. This means cooperation across functions, ánd between customers and suppliers. Teamwork can be stimulated by persons making an A3. These are sheets of paper with descriptions of specific problems and possible hypothetic countermeasures. Chapter 7. Mutual Trust. The core of mutual trust is that people feel that (even their personal) problems are taken seriously, and that management tries as hard as they can to do something about it. Processes don’t run people, it’s the other way around!. There should therefore be a plan for every part and for every person. Chapter 8. Creating Value. In a true lean organization everyone, including R&D, should contribute directly to improve the products. Experience with the manufacturing of existing products therefore should be fed back into designing new generations of products. Finally a remark about the way go and see is applied in this book, which resembles more watch and see. The plant manager simply watches how things go, to see if there are any abnormalities or to find possibilities to improve. Somehow, I can’t see how this would work. Wouldn’t the operators think: Does our plant manager not have anything better to do? From what I have seen, the most successful lean managers are charismatic people who are working besides the operators from time to time, thereby deliberately doing some of the most dirty jobs themselves. In defense of the authors it can be urged that the Lean manager is a novel, which should (and does) keep the reader in suspense. It might well be that Ballé and Ballé exaggerated the situation a bit on purpose. The factory in the book is not a smoking platform but a burning platform, very close to bankruptcy! The plant is therefore transformed in a very rough and sometimes even human-unfriendly way. However, I think the reader should simply pass over that. Then, all the tips in the book of how to accomplish a Lean or another transformation remain valid! Remember, the story only serves to send a clear message: without your people, no Lean manufacturing. This is a very complete and insightful review, and it does capture the main points of the book – namely, lean processes are the outcome of constantly developing the people in order to improve their skills to make quality products with the least possible means – as opposed to compensating for every difficulty by a workaround or a wasteful investment. I’d like to pick up on the “lean is mean” angle. Certainly, I hope the book doesn’t convey any meanness from the main characters. But on the other hand, there is no doubt that if lean isn’t mean, it certainly is tough. To put things back in context, Toyota’s policy of “respect” was developed as a response to the major trauma of its 1951 layoffs and following strike. From this perspective, the right not to layoff people has to be earned – it’s not a given. When the new CEO takes over this company, the firm is in dire trouble. It’s footprint carries huge costs, with too many sites in high cost countries. It has focused on high end – high profit segments which are very vulnerable to market ups and downs, and not that profitable, and it has made all the usual management mistakes of running the place from corporate level rather than from the shop floor. The key message in the book is that the managers who, collectively, have run the company into the ground are still there. The new CEO can’t change them all by snapping his fingers. Not only are they still in place, but also, throughout the book, their thinking hasn’t changed from one day to the other and they continue to have the same wrong reflexes and make the same disastrous decisions – although now, they have to fight the new CEO about this. The new CEO doesn't like, want, nor intend to make people redundant in large numbers. However, he is rather rude to - and impatient with - people who are responsible for processes carrying too much cost out of neglect. In particular, there are a bunch of senior managers whose attention he really needs to capture. To paraphrase Samuel Johnson, the prospect of being fired focuses the mind wonderfully. The new CEO needs to either get the western sites cost-efficient or reduce his exposed footprint – there is no realistic alternative way of stopping the bleeding. This is exactly the choice he puts to his senior management team, and to his credit, it is a choice, and not just a unilateral decision. Respond continuously to local market changes and technological evolutions with new value propositions to customers. To succeed in lean, one needs to have a strong personal bias for learning in conditions of adversity – which means both persistence and an open mind. In many ways, true lean transformation is a test of leadership as much as anything else. At the start of the book, the company is nowhere near ready to pass this test – which is the new CEO’s main difficulty. I fear the passage in question about quality inspectors has been misinterpreted. It is the quality department he is gunning for. In the same sentence, he also stops the new ERP deployment. His first issue as a CEO is to get production and engineering to take responsibility for their own problems and not be encumbered by specialist services drawing policies and processes for them. The new CEO doesn’t want quality procedures – he wants quality expertise: the ability to solve specific problems when and as they occur. One of the key attractions of lean is that it is a truly empowering method. By empowerment, I mean teaching people to solve their own problems. Lean does that by training people to have a scientific mindset to look at their own processes and learn more about their own operations and how to improve them. That can be great fun, but none of this is ever easy. Learning is a response to clear challenges and building learning opportunities in every day work. For most managers, this is a difficult leap, and creating the conditions for that jump is what the new CEO tries to do in the book, with varying degrees of success. To be honest, The Lean Manager is not so much about the CEO, but more about the plant manager who’s being hit with “change or die.” And, as he himself adapts and grows, he is repeatedly accused of being mean to the people around him who refuse to learn, so, yes, this is a valid point and issue. But the turnaround is only the beginning of transformation, and hopefully the book also describes, through the experience of Andy Ward’s more advanced American colleague, and through Andy’s own learning, that once you’ve got the right team in the bus, lean is a very powerful way to work as a team and to engage every operator in the company in contributing to the fullest of their abilities to delivering better service and products to customers!